The former Bristol General Hospital is an iconic Grade II Listed building overlooking the city’s harbourside, now redeveloped as luxury apartments and houses. 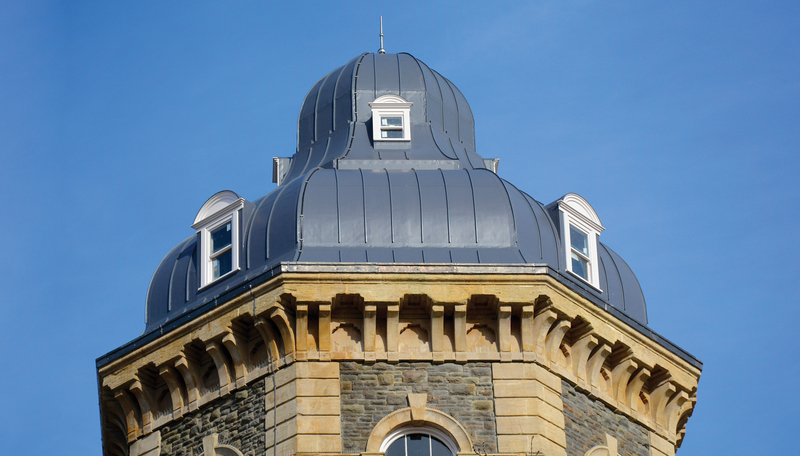 Developer City & Country was granted planning permission on the condition that they recreate a key historic feature, the Ogee Dome, an uneven structure comprising three sections, which once capped the building’s octagonal tower. SIG Design Technology supplied IKO’s Armourplan PSG membrane, ideal for replicating the original seamed lead roof. Roofing contractors Roofworx studied archive photos of the Ogee Dome to ensure the same look was replicated with their craftsmanship. As well as recreating lead seams as standing seams using Armourplan PSG, the membrane was carefully dressed around the eight dormer windows. Armourplan PSG has a 25-year guarantee. By using the same high quality UV resistant PVC compound on both the upper and lower side of the membrane, Armourplan PSG ensures optimal weld strength and quality. 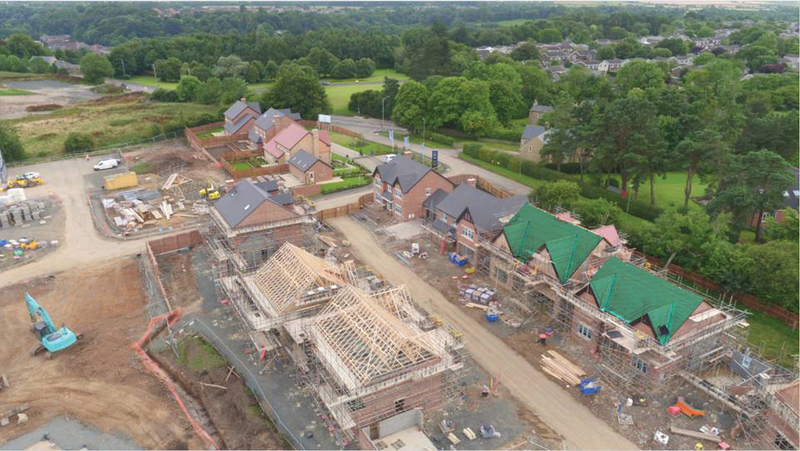 Award winning property developer Story Homes has chosen Roofshield, the unique vapour and air permeable pitched roof underlay, as a key product in their strategy for continuous improvement in build quality. An important area which Story Homes wanted to improve was the ventilation of their cold roof spaces, particularly given the complexity of the roof designs on their 4/5-bedroom houses. 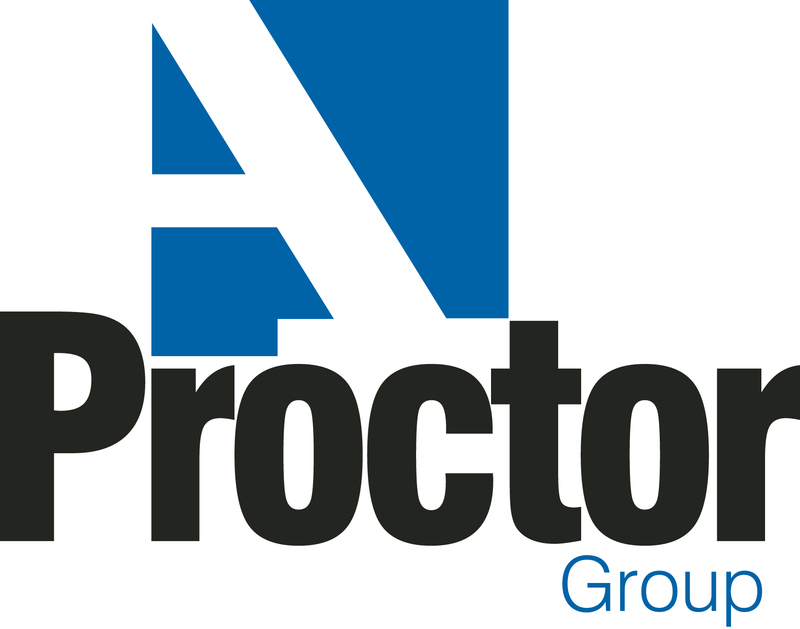 Following initial meetings between the A. Proctor Group’s technical team and the developer’s design team, Roofshield was selected. Its high performance air permeability means that the roof space has five times more air changes than using traditional eaves/ridge ventilation. In line with guidelines and a statement issued by the NHBC, independently certified air and vapour permeable underlays can be used without additional ridge ventilation in cold roofs. The use of Roofshield vapour and air permeable membrane will lead to savings in labour and material costs, and avoid the risk of ventilation being blocked by insulation or household storage. Roofshield pitched roof underlay, which is both air and vapour permeable, was chosen for the roof because it has an extremely high degree of vapour and air permeability, so still performs in conditions where airtight alternatives will not.